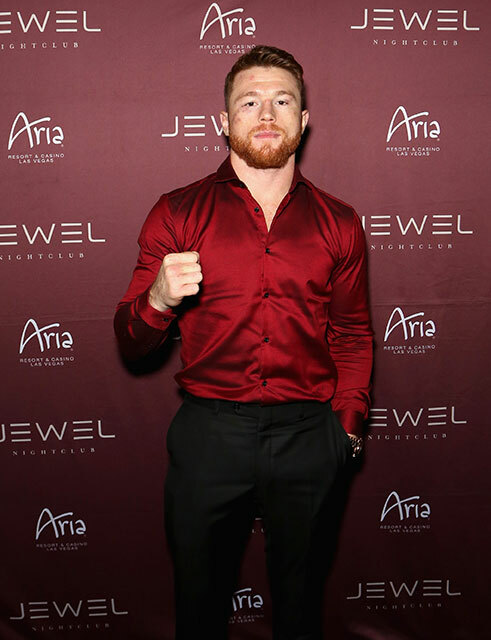 Last Saturday, Sept. 16 World Champion boxer Canelo Alvarez hosted the Official Fight After-Party at JEWEL Nightclub inside ARIA Hotel & Casino, following his highly anticipated showdown with Gennady Golovkin (GGG) earlier in the night. Arriving at around 1:30 a.m. with a large entourage, Alvarez was greeted by a live mariachi band‎ in front of the venue. Dressed in a red dress shirt and black slacks, the champ was seen in high spirits as he made his way to the red carpet to pose for photos. 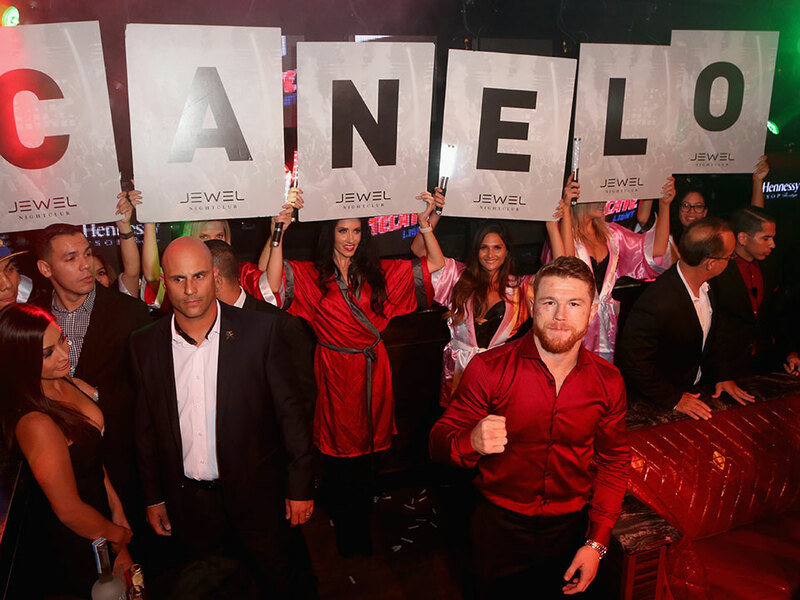 The boxing icon then entered the packed nightclub where thousands of fans chanted his name. The energy in the room was at an all-time high as the boxing icon made his way to the DJ booth. 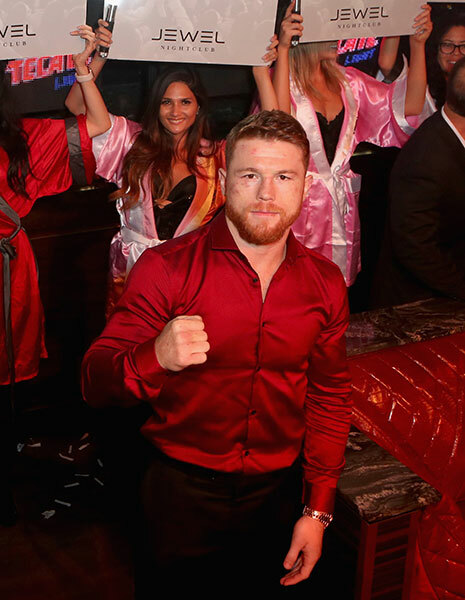 As Alvarez arrived in the booth, confetti filled the room, while Mexican flags waived proudly in the air, and a parade of beautiful cocktail waitresses clad in boxing robes welcomed him with signs proclaiming his name. As the night went on, ‎the athlete welcomed admiring fans in the booth as he mingled and snapped photos with them. Alvarez seemed to appreciate the overwhelming amount of love from his supporters as he continued to wave and interact with the high-energy crowd, fully enjoying his night out into the early hours of the morning.